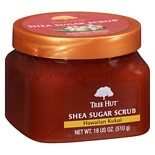 Tree Hut Body Scrub Hawaiian ...18 oz. 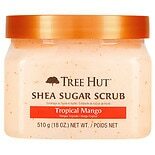 Tree Hut Body Scrub Mango...18 oz. 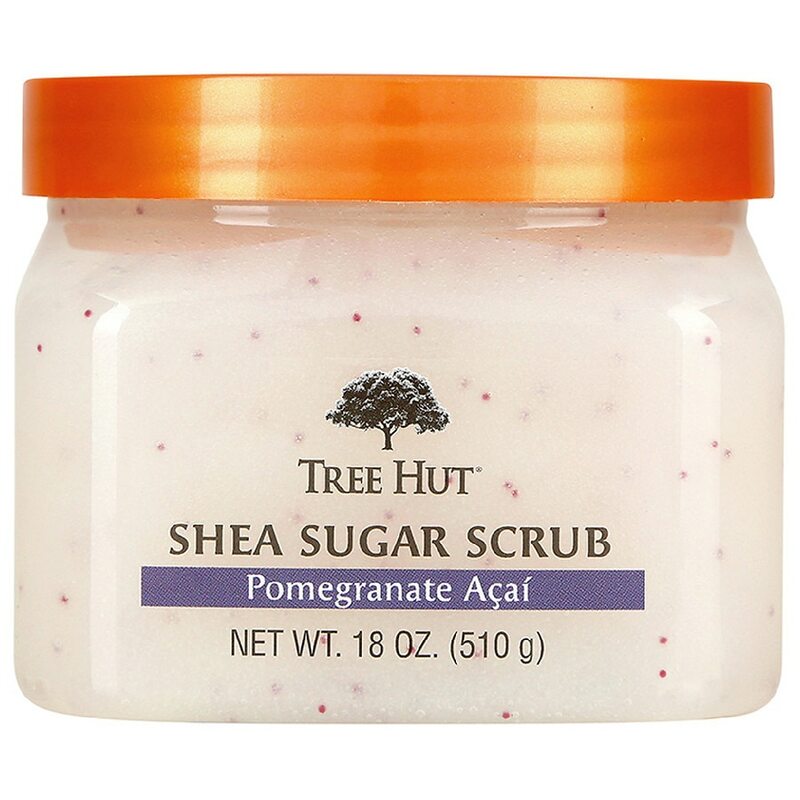 Experience an intense exfoliation with Tree Hut Sugar Body Scrub with the luxuriously sweet scent of Pomegranate and Acai. Using real Pomegranate Fruit extract for skin healing and Acai Fruit extract for blemish reduction and anti aging. Condition damaged and neglected skin that has become unhealthy over time. This gentle sugar scrub is infused with certified organic Shea butter, Pomegranate extract, Acai extract and an array of natural oils, including Evening Primrose, sweet Almond, Avocado, Macadamia Seed and Orange Oil. The real sugar grains will softly buff away dead skin cells, leaving your skin feeling fresh and new. 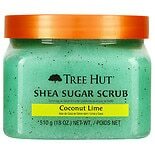 Tree Hut Body Scrub Almond Ho...18 oz.